The Chang'e 4 mission, which conducted mankind's first surface observation of the moon's far side, is a complete success with well-received images and scientific data transmitted to the ground and launch of a bio test project on the surface of the moon. 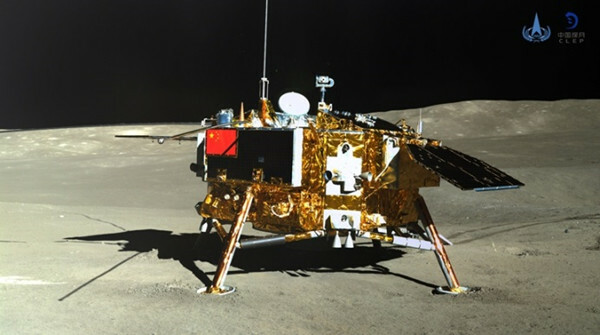 The China National Space Administration said in a statement on Jan 11 that the two components of the Chang'e 4 robotic probe — the lander and the Yutu-2, or Jade Rabbit-2, rover — took pictures of each other that were transmitted to ground control via the Queqiao relay satellite. All scientific equipment mounted on the lander and rover has functioned well and their data have been received by ground control. Scientific experiments are underway without any problem, the administration said, explaining that all proceedings are successful. Scientists planned the path of the rover based on the surrounding topography shot by the navigation camera and sent the order of shooting by remote-controlled Queqiao. The panoramic camera mounted on the rover took images of the lander and the topographic camera on the lander shot images of the rover. At 4: 47 pm, the images of the lander and the rover appeared on the screen of the Beijing Aerospace Control Center, clearly showing the topographic features on the far side of the moon. 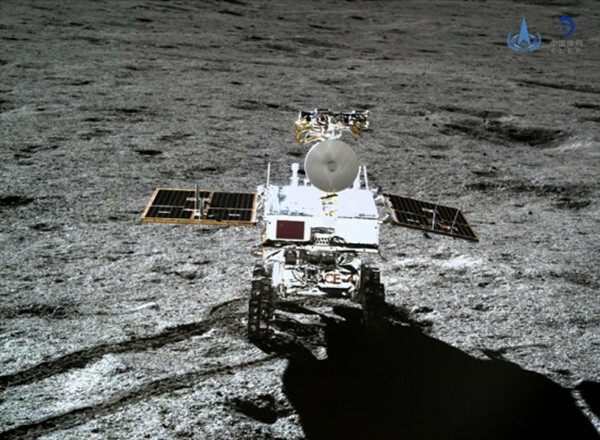 After its landing on the far side of the moon on Jan 3, the Chang'e 4 probe completed a series of missions such as linking to the Queqiao satellite, starting up the load, separating the lander and the rover, emerging from dormancy and awakening the rover and the mutual shooting. Next, the Chang'e 4 mission will move to the stage of scientific exploration. The lander and the rover will conduct stationary observation and lunar survey and exploration respectively.